Mondays are for fresh starts, and This Week In Running. We’re back with the usual mix of racing from all over the USA. We also preview a pair of Ultra-Trail World Tour events– the Madeira Island Ultra-Trail and Ultra-Trail Mt. Fuji–for the coming weekend. The Quaker State’s favorite son came home. Zach Miller won the 25k Hyner Trail Challenge in 2:06. That is four minutes better than David Roche‘s 2014 course record. 2017 and 2016 winner Matt Lipsey was second in 2:12, and Eric Marshall was third in 2:16. Wesley Atkinson won the 50k race in 4:41. This one was close, real close. Carole Dudukovich ran 2:50, and Meira Minard ran 2:50, too. The frontrunners were 16 seconds apart. Minard had previously won here in 2017, 2013, and 2012. Johanna Ohm was third in 2:56. Katie Hails won the women’s 50k in 5:13. 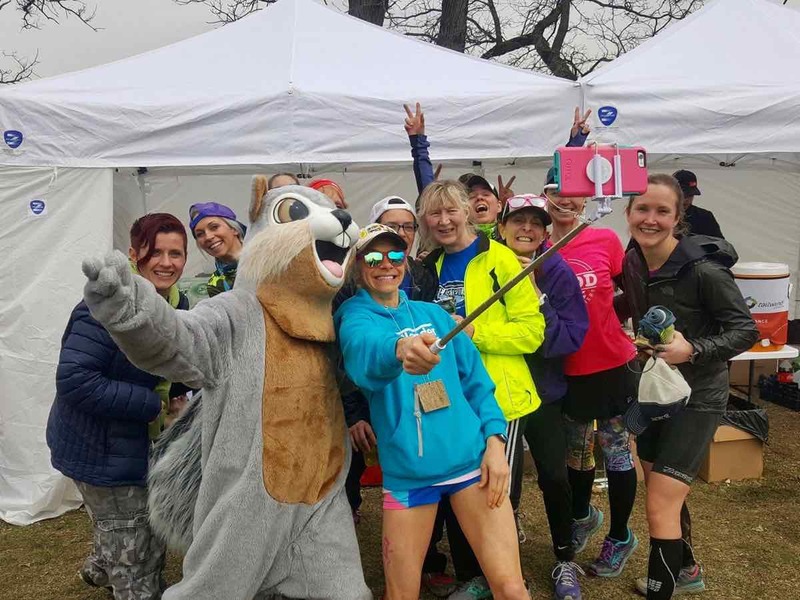 Runners at the Trail Animals Running Club Spring Classic have grown accustomed to running in damp, chilly conditions in recent years. The 2018 edition of the race offered a new twist–sunny skies and temperatures in the 50’s Fahrenheit. It was perfect racing conditions by Spring Classic standards, and runners capitalized with strong performances on the five-loop 50k course. As is his typical routine, Brian Rusiecki spends March and April racing himself into shape so he’s primed for a strong summer on the trails. The Spring Classic was Rusiecki’s fourth race in five weekends, as well as his second-straight weekend with a win. 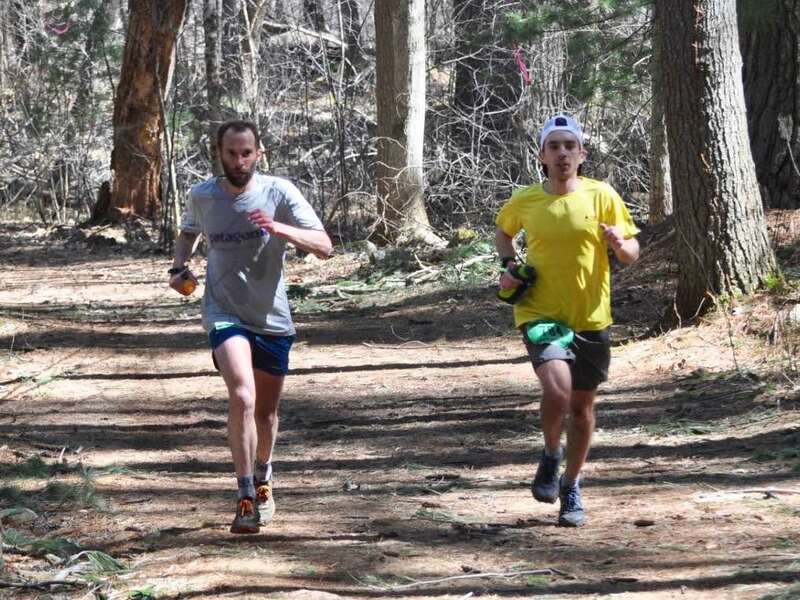 A week after winning the Traprock 50k in Connecticut, Rusiecki earned a first-place finish here in 4:02. Despite winning by more than 10 minutes, Rusiecki had his hands full with Davis Cutter for the first 20 miles. The pair ran side-by-side for much of the morning, and Cutter eventually surged ahead of Rusiecki during the fourth loop before Rusiecki reeled him in, reclaimed the lead, and then pulled away. Cutter placed second in 4:12, and Marek Telus was third in 4:18. 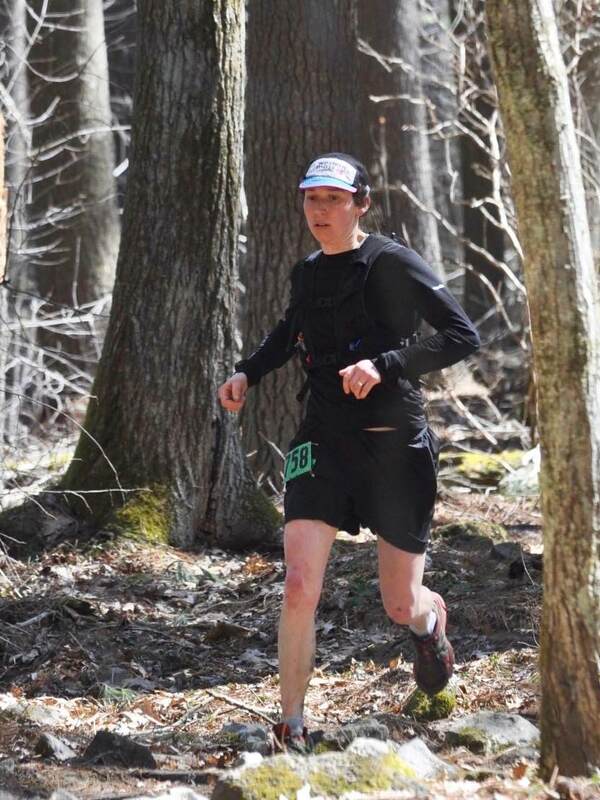 Kelsey Allen has her sights set on her 100-mile debut next month at the Massanutten Mountain Trails 100 Mile, so the Spring Classic was a glorified training day. Allen maximized the opportunity to prepare in a race-day environment, delivering a steady, focused effort. She took control from the start, ran solo for most of the day, and cruised to the win in 4:33. Allen’s time was the second-fastest in the eight-year history of the race. Heather Lucas was the runner-up in 5:03, while Lori Wetzel surged into third place during her final loop and rounded out the podium in 5:14. Welcome back, Rob Krar. Racing in New Mexico at the Cedro Peak 50k, Krar was all alone way out front in 4:07. For perspective, it was five minutes back of 2017’s inaugural year course record. Women’s winner Alyssa Jojola was third overall in 4:38, and that was a new course best. Full results. It’s back to the future?! 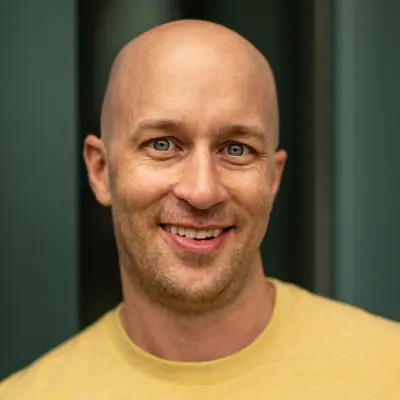 The same weekend that we have Krar topping race results, so too is Mike Wolfe. He was in Washington state at Rainshadow Running’s Yakima Skyline Run 50k and won in 5:04, eight minutes better than second place. Women’s winner Kaytlyn Gerbin ran 5:48, three minutes ahead of the one-year-old course record. Full results. North Carolina’s first-year Hellbender 100 Mile calls itself the most challenging 100 miler on the East Coast. The course packs in five major climbs to total 25,000 feet of elevation gain. Karl Meltzer, age 50, won in 21:56. It was his 41st 100-mile win and second of this year. Alyson Kirk won the women’s race ahead of race-everything Kathleen Cusick. The two ladies ran 26:09 and 26:36. This is Kirk’s second 100-mile win of 2018, too, as she won the Lone Star 100 Mile back in February, the same race as Meltzer. Full results. Georgia’s Sweet H20 50k and its Sweetwater Creek State Park course turned 12 years old. Andrew Catanese and Alicia Jenkins were victorious with 5:08 and 5:57 winning times. Full results. 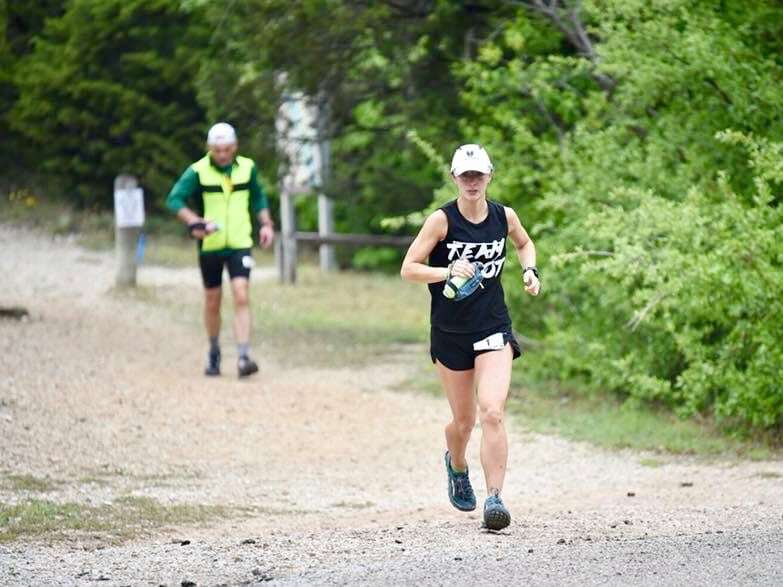 Nick and Meghan Lewis outran the competition to win Arkansas’s Ouachita Trail 50k Mile race in 8:16 and 9:28, respectively. Nick also won here in 2012, 2011, and 2009. Matt Pruitt and Rachel Furman won the accompanying 50k in 4:50 and 5:48. Both 50k races were close with Pruitt only three minutes in front of second place, and Furman just two minutes ahead of her closest chaser. Full results. The longtime Ruth Anderson 100k and series of races date back to 1986. Held in the San Francisco Bay Area on a 4.5-mile loop, fields weren’t deep but that didn’t stop Jean Pommier from chasing a fast 50-mile time. The 54-year-old Pommier ran 6:20 to win the 50-mile race, alongside women’s winner Emi Yasaka in 7:46. 100k winners were Matt Ward and Elizabeth Jones in 8:47 and 11:30, and 50k race winners were Jordan Sakala and Christine Chapon in 4:06 and 4:58, respectively. Full results. Zachary Miller won the Trail Racing Over Texas Coyote Trail Run 50 Mile men’s race in 9:02, while Shandra Moore won the women’s race in 9:53. Jeff Ball and Sandie Nathan led the accompanying 50k in 4:49 and 7:02(?). Full results. Named for the nickname the Shawnee Native Americans gave to Daniel Boone–“Sheltowee” reportedly means “big turtle” in Shawnee–in this area over two centuries ago, Kentucky’s Big Turtle 50 Mile runs out and back on Sheltowee Trace National Recreation Trail. Scott Buser and Sarah Crippen won in 7:53 and 10:09 respectively. In the 50k, it was Josh Elliot winning for the men in 5:05 and Sara Combs topping the women’s 50k field with a 6:00 finish. Full results. Mike Sidic ran 4:39 to win British Columbia’s Nimble Bear 50k in new course-record time. Women’s winner Emily Sabo raced to a 6:08 finish, second-best ever. Full results. River, ocean, redwoods, waterfall, that’s the Mendocino Coast 50k tagline. It was year three for the northern California race. Alexander Kramer went all in for a 4:12 win, beating Trevor Fuchs by five minutes. Women’s victor Jenn Humberstone turned out a 5:39 first-place run. Full results. Earth Day everyday, Earth Day 50k. This one was in Illinois and with three race distances. Chris Ragni and Meghan Kennihan won the 50k in 4:25 and 4:41, and Coree Woltering and Melissa Aust won the 15-mile race in 1:43 and 2:20. Full results. Two years ago, the Ultra-Trail Mt. Fuji race was limited to just 50k because of weather, and then last year it wasn’t held at all. It’s back now with a full 168k (104-mile) course, and a world-class field to boot. It’s one of two Ultra-Trail World Tour events for next weekend. One should probably expect the winner to come out of the group of Dylan Bowman, Pau Capell, Min Qi, and Seth Swanson. Min Qi had a big breakout at the Vibram Hong Kong 100k earlier this year, but we think this is his 100-mile debut? The women’s elite field is almost exclusively Japanese. Are there any readers closer to this group of ultrarunners who can provide insider intel on how these women might fare? It looks like top contenders should be Courtney Dauwalter and Kaori Niwa. Look for a full house on the starting line of the 115k (71-mile) Madeira Island Ultra-Trail. This one too is a UTWT event. It’s hard to call a winner from this group. Does anyone have any insider intel on the early season fitness of these gentlemen? Does anyone know if Caroline Chaverot is racing MIUT? She just announced on social media last week that she isn’t racing the Trail World Championships in May given she’s not at 100% physically. If Caroline isn’t around, Mimmi Kotka will probably lead the women and Emilie Lecomte should push the pace also. Earth Day was Sunday; did you mark the occasion with a particular trail run? What other race results can you add in the comments? Were you at one of the races for which we list results? Can you share some more details from on site? The TARC Spring Classic also featured marathon, half-marathon, and 10K distances. Patrick Caron and Laura Ricci led the marathon in 3:08 and 5:38, with Caron’s time taking 19 minutes off the course record. The half was won by Christopher Knighton and Jayne Hetherington in 1:36:33 and 1:49:28. Toby Mansuripur and Meredith Marx won the 10K in 45:01 and 50:41. Sandie Nathan was the actual female winner of the Coyote Run 50K. The results were incorrect for Amy Ewing, she finished later. Hi John, thanks for the intel. What was Sandie’s finish time? The UltraSignup results are still showing Amy Ewing as the women’s 50k winner. Sandie’s time 7:02:19 in the results is correct. I think they have Amy’s third lap as her finish time (race was 4 laps). Their both buddies of mine. The ‘Spitfire Ultra Trail Challenge’ was held this past Saturday at Menan, ID, offering runners four different race distances including a 5K, 12K, 25K, and 50K. My buddy, Michael Burke – Topo Athletic athlete, still hampered by late effects from the flu bug managed a 2nd place in the 25K. Hi Zach, congrats on your win and thanks for the note. It looks like the results on UltraSignup were updated to include your name at the top after we put this article together yesterday evening. We’ve updated our article to reflect the updated race results. I think you covered Meltzer’s 12 hour Speedgolf record a few years ago. Eric Byres bested that record this weekend. In reference to the Ruth Anderson race, is it necessary to say the field wasn’t “deep”? Seems like a back-handed compliment to those running/winning. That qualifier phrase does seem unnecessary. Many of the smaller local races don’t have deep fields. Qi Min will DNS in UTMF，cause his DNF in Gaoligong’s 100 mile. Sri Chinmoy 6 and 10 day.